Look like a Pro From Head To Toe! 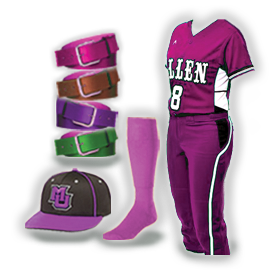 For a limited time, get a free custom Richardson hat, matching socks and a belt for every softball uniform order. Choose from a wide variety of design templates and create your own unique look or call us at 407 641 4900 and we will design it for free!